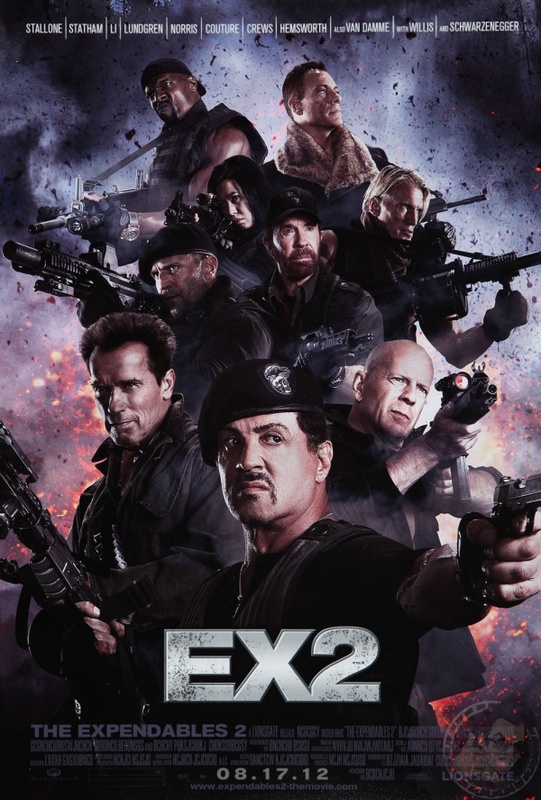 Okay, so the new teaser trailer for The Expendables 2 doesn't really given away much plot, or any plot (if there will be one). But what this does manage to do is get my attention. Sylvester Stallone steps out of the director's chair for this latest installment, which reunites him with Jason Statham, Bruce Willis, Sylvester Stallone, Jet Li, Dolph Lundgren, and Terry Crews as a team of mercenaries who basically annihilate more bad guys. Director Simon West (The Mechanic, Lara Croft: Tom Raider) steps up to helm this testosterone-fueled action flick, this time with Chuck Norris and Jean-Claude Van Damme. You know with this cast it means fools are about to get their blocks knocked off. I can't wait. We do have to admit, however, that West's previous credit are of a concern for those who liked the first movie. I guess we'll see for sure on August 12, 2012 when the movie hits theaters. This trailer looks awesome and even though the movie itself is going to be plain and simply stupid, I don't care because it's going to be action-packed and filled with all of my favorites. Hell, even Arnie's in it! I thought the first one beyond the action climax was a HUGE waste of time. I'll probably see this one though to see if it will improve.